Know how a septic tank works? 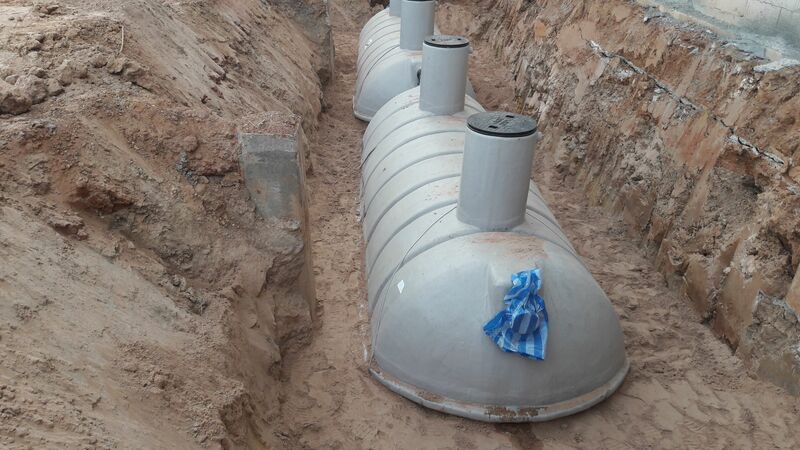 Septic tanks are underwater sedimentation tanks that are used for wastewater treatment by the use of the biological decomposition process and drainage. They allow you to safely dispose of wastewater and thus are widely popular with people who live in areas where the drainage system is poorly constructed, or are not on the main sewage network. The way they work is that they collect excreta and wastewater in a giant underground tank, being used predominantly in rural areas. You will not find septic tanks in urban areas as much since waste in cities and towns is usually removed through the sewage system, and this is typically maintained by the local water company of the city. Septic system is not too complicated of a design. It is made of either fiberglass, plastic, or concrete, and is an underground watertight container. The tanks is connected with two pipes that are divided into inlet and outlet categories. The inlet pipe will collect the water waste in the septic tank, long enough for the solid and liquid to separate from each other. The outlet pip is also named as the drain field and moves the preprocessed wastewater from the septic tank and also spreads it evenly in the soil along with the watercourses. The wastewater will, later, separate into 3 layers with the top layer being oil and grease that will float on top of all the waste. This is called scum. The middle layer will be the wastewater that contains all the waste particles. Lastly, the last layer will consist of heavier particles that are significantly heavier than water and so develop a layer of sludge. On the inside the tank bacteria from the waste water will break down the solid waste. The bacteria help decompose the solid waste pretty quickly so that they allow the liquids to separate and drain away much more easily. The septic tank will need to be cleaned regularly otherwise toxins and antibacterial substances will build up killing the important bacteria that help break the waste down. A lot of the household cleaners tend to build up sludge along with solid waste in the tank and drainfield lines. This is what leads the septic system to fail which means that the solid waste will block the system and overflow into the water course or out of access. The problem with this is that the failure in the septic system is not only an expensive issue but it also means that the waterborne diseases are getting the VIP tickets to your home. Not to mention, the smell that emanates is extremely fowl! This is why it is imperative that people understand how important septic tank cleaning is. Make sure that you follow a strict routine of cleaning out the septic tank so that you can help protect the system in the face of clogging and breaking down. The decomposition process within the tank will slow down and that will lead to blockage and overflow. The soil, sludge, excrement, and solid waste will buildup overtime and the cycle will continue till the system gives up and backs away. So, rather than waiting for the septic system to breakdown it is best that you attend to the matter at hand and carry out the cleaning constantly.